When choosing early warning fire protection for your family, don't choose the cheapest things you can find. Instead, invest in QUALITY and protect what is most valuable...life! We take pride in providing the absolute best quality components in each of our alarms. That is why EVERY one of our alarms come with Rate-of-Rise and Fixed Temperature Sensors. If the temperature is rising too fast, the alarm knows there is a fire and will sound giving you plenty of time to escape. 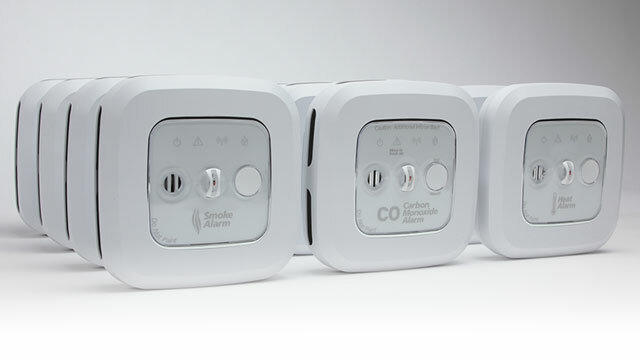 The Wireless Technology designed exclusively for Crossfire Alarms allows easy interconnection using state-of-the-art radio frequency. This allows the unique ability to wirelessly interconnect alarms in places that would typically not be able to provide early warning detection. The Event Positioning System allows you to pinpoint the origin of a fire. If you had a fire in a bedroom, your Crossfire Smoke Alarm would sound...and wirelessly trigger all other Crossfire Alarms in your home . When they all go off, simply press the silence button on the alarm closest to you and all alarms with the exception of the initiating alarm will silence.